Ms. Rachel Forester is the Director of Choral Activities and Department Chair for the Fine Arts at Hebron High School. Ms. Forester has been at HHS since the school opened in 1999. Prior to her appointment at Hebron High School, Ms. Forester served on the faculties for The Colony HS, Peters Colony Elementary, Cyril, OK Public Schools and Coyle, OK Public Schools. Ms. Forester holds a Bachelor of Music Education (emphasis in voice) from Oklahoma Baptist University in Shawnee, OK. She has completed master’s courses for music education and counseling at Oklahoma State University, the University of North Texas and Texas Women’s University. Ms. Forester is a member of Texas Music Educators Association, Texas Choral Directors Association and Texas Music Adjudication Association. She is also listed as one of Marquis Who’s Who of American Women. Ms. Forester has judged for UIL Solo and Ensemble contests and UIL Concert and Sight-reading contests across the state of Texas. She has held TMEA region offices in Region 5 and Region 24 and just relinquished her duties as Region Chair this year. Ms. Forester has also served on the Scholarship Committee and Hospitality for TCDA and is a two-time section leader for the Texas All-State Choir. Ms. Forester was honored to be chosen as Teacher of the Year by the faculty and staff of Cyril Public Schools, Peter’s Colony Elementary and Hebron High School. Ms. Forester is also a Music Assistant to Students at her church, First Baptist Church of Carrollton. In her free time, you can find Ms. Forester (an avid sports enthusiast) rooting on the Dallas Cowboys, OU Sooners and LA Lakers with her two cats, Mozart and Chopin. Mr. Nathan Ratliff joined the Hebron High School faculty in January of 2014 as the Assistant Director of Choral Activities. He received a Bachelor of Music degree in both Percussion and Piano Performance from the University of Oklahoma and later obtained a Master of Music in Percussion Performance from the University of North Texas. Upon completing his degrees, he taught private percussion lessons in the Dallas/Fort Worth area, along with teaching and arranging for several high school band front ensembles. Many students and families in LISD are familiar with Mr. Ratliff, as he has been an accompanist in high demand for many years performing with local middle school and high school choirs. In 2013, he served as the accompanist for the Texas All-State Men’s Choir. 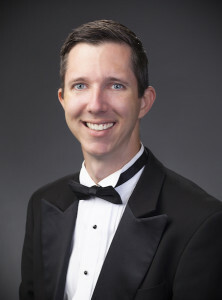 Mr. Ratliff also has performed as a recital accompanist at the University of North Texas, Texas Christian University, and Texas A&MUniversity-Commerce. Currently, he is the accompanist for CREDO, Dallas’ Ecumenical Mixed Choir, and is starting his seventh season with the Crossmen Drum and Bugle Corps as the Front Ensemble Coordinator.